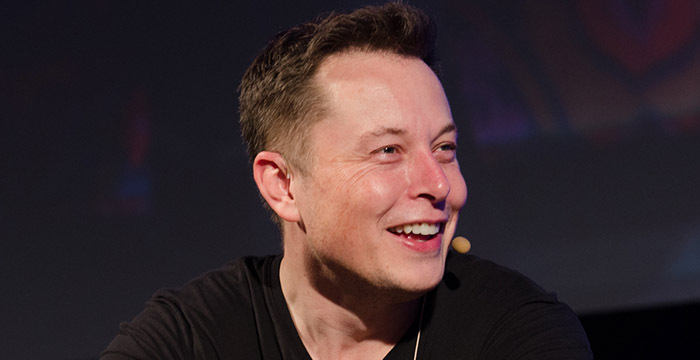 A British cave diver who helped coordinate the rescue of 12 Thai children trapped in an underground cave system has instructed London law firm Howard Kennedy to prepare legal action against Elon Musk, after the tech billionaire labelled him a “pedo” on Twitter. 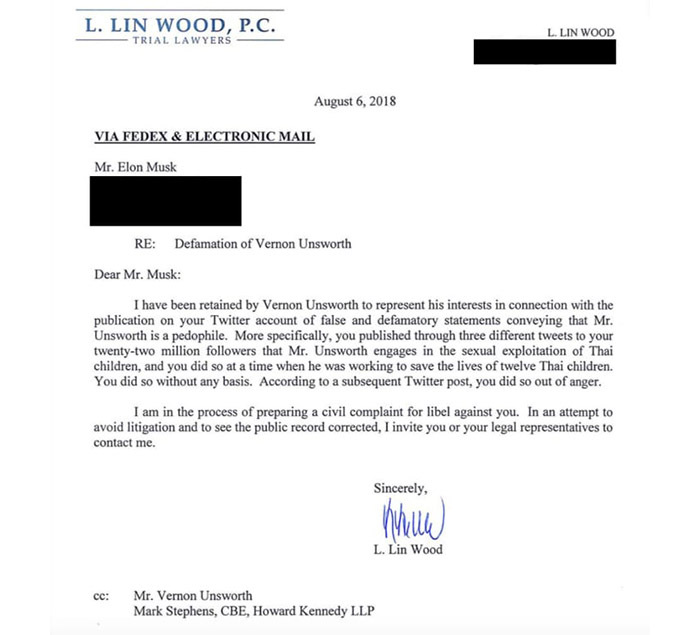 A lawyer’s letter (in full below) reportedly sent to Musk’s Los Angeles home address shows that Howard Kennedy has been drafted in to work on the UK element of Vernon Unsworth’s potential libel claim. The pre-action letter — sent by L. Lin Wood, P.C, an Atlanta-based law firm handling the US element of the matter — describes Musk’s tweet as “false and defamatory” and that a “civil complaint for libel” is being prepared. Sixty-three-year-old Unsworth upset the CEO of electric car giant Tesla last month after describing his offer of sending a mini-submarine to assist rescuers as a “PR stunt”. Firing back, Musk — who has over 22 million followers — called Unsworth a “pedo”. The tweet was eventually deleted and Musk issued an apology describing “his actions against me do not justify my actions against him.” All 12 boys trapped in the flooded cave in Thailand were eventually rescued, along with their football coach. Continuing, the legal letter — first acquired by Buzzfeed News — shows that renowned media specialist Mark Stephens is assisting in the potential claim. Stephens heads up Howard Kennedy’s media law and regulatory team and has represented a number of high-profile clients including WikiLeaks founder Julian Assange. Howard Kennedy has been contacted for comment. The post Howard Kennedy brought in to prepare legal action for cave diver branded a ‘pedo’ by tech billionaire Elon Musk appeared first on Legal Cheek.